Elephants have strength and gentleness. They act with power and grace. They have pride and love. Just like elephants, humans also possess contrasting attributes – which can sometimes happen concurrently in an individual or a team. When opposing, interdependent emotions occur simultaneously, the path becomes clouded; momentum slows (even stops), missed deadlines crop up and accuracy decreases. Think about our teams, who share some similarities to elephant herds. Within matrilineal herds, elephants depend upon their relationships – especially the matriarch, who is the eldest and wisest with the most life experience. In the elephant’s wild setting, the elder matriarch and her closest sisters and/or daughters will decide what the herd needs to know and learn (from locating the best food and necessary skills for protection to when adult males should leave the group). The leader of the herd looks for qualities and skills that will support the group’s survival. 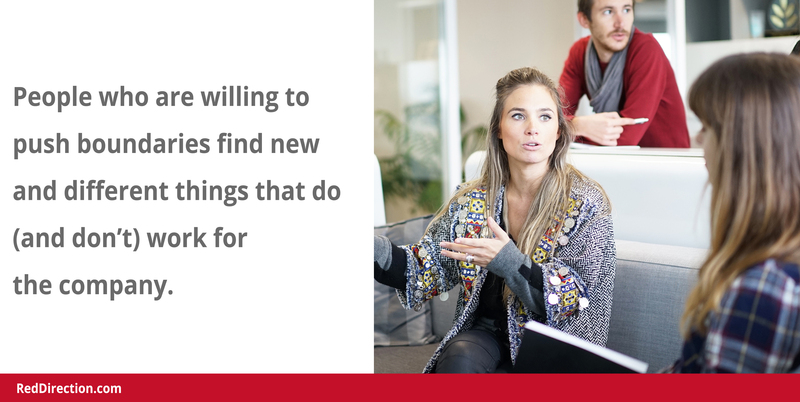 Businesses hire employees who have qualities and skills the team needs. People choose to accept a role – a position with specific responsibilities – within the company. Each person on our team chooses to show up and do their work. Regardless of the reason, each person chooses to be there. People don’t have to be friends with everyone else to do their part. There is a mutual agreement – we all have our work to do. They can stand behind the common values of the group. “The elephant in the room” – originated by Ivan Andreevich Krylov in his fable “The Inquisitive Man,” about missing something that is completely obvious. When we miss or ignore something that is obvious, it matters. 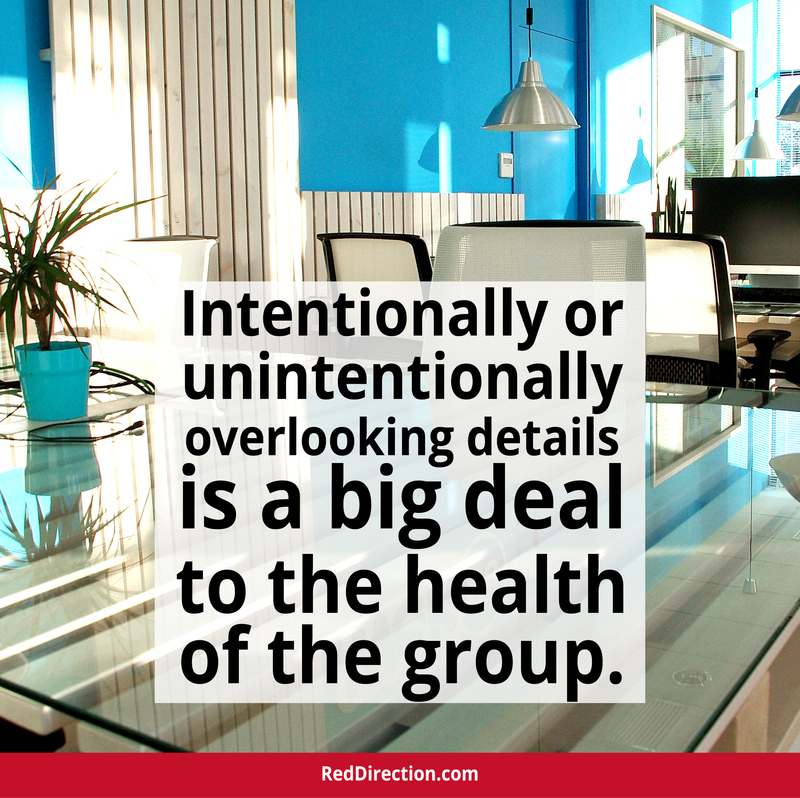 Intentionally or unintentionally overlooking details is a big deal to the health of the group, especially with regard to interpersonal relationships – because these impact the survival of the business unit striving to meet goals and be productive. Chalk up friction to … personalities. Allow some people to do things … and not others (creating unwritten agreements). Allow the team to blame each other, or outside influences, for missed deadlines and incorrect/incomplete work product. All these things have a common root: someone, at some time thought a situation was more important than the short-term goal or long-term vision. The values were compromised. And, while in a moment – a split second decision – an action that seemed right (at that particular point in time) creates aftereffects indicating otherwise. When we do something we believe is right in the moment, that decision may also become a baseline to be used by the team for other situations. But … the decision was only for one situation that was one moment in time. When the team makes a unilateral decision for one item, and then adopts that choice for other ongoing projects/tasks/procedures, they are making an unwritten agreement: in other words, that decision is now the path for other projects/tasks/procedures. When we as leaders do not catch and correct this, we are agreeing to their interpretation of past events. We agree to their action by not saying anything at all. In short, these unwritten agreements are behaviors and actions that were decided in the moment and then allowed to continue. Why is finding elephants (in the room) and addressing them important? Why their role exists and how it impacts the delivery of the service – and solves a customer’s problems. Create an environment that recognizes skills and talents. Create a workplace of respect around skills and talent – where the focus isn’t on being equal or treated the same, but rather on each person’s individual contributions. So what’s the first step in the process to find lurking elephants? Take a close look at what is not said (people talking around the issue, avoiding or changing the subject). 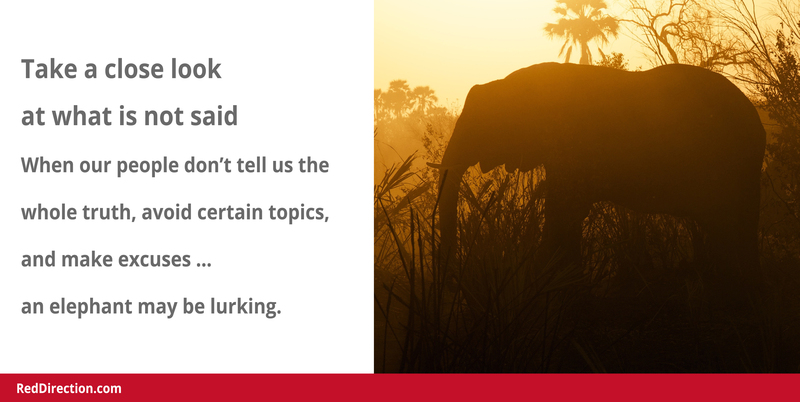 When our people don’t tell us the whole truth, avoid certain topics, and make excuses … an elephant may be lurking. Usually, it’s a skill that hasn’t been mastered or is completely missing, which is an easy fix. Soft skills can be learned through practice. So it’s up to us to find out (or call someone, like me, to help you find out) what the thing is that no one is talking about – because there will definitely be some sort of pain or fear surrounding the issue. Once known, the elephants become more visible. When seen, they can be evaluated and discussed. What becomes clear is how much this elephant – this problem – impacts the business. HOW do we move from where we are to where we need to be? And these answers create a basis for a plan. A plan to act. People who are willing to push boundaries find new and different things that do – and don’t – work for the company. These forces of nature have their skills and goals moving in the same direction … yet they can alienate others. High achievers may not always be the best for promotions, yet it is easy to justify advancement. Usually cooperation and communication are lacking. People don’t always get what’s going on or they are zagging before a zig has been fully shared. I am a high achiever. While I have good communication skills, I couldn’t always bring my team along … or the team moved too slow… which is fertile ground for burnout, frustration, and deep-set opinions. All of which I experienced, as did my team (which had high turnover). Developing high achievers, also known as rainmakers, to become leaders in an organization can be tricky. They have to be willing to slow down (that was the hardest for me! ); to be present and look at what is going on; and determine how to actually use the team they lead. Use and continue to hone relationship skills. Be present (stop, look and listen). Just because we know something – because we experienced it – doesn’t mean that particular outlook is THE answer. It is only one perspective … ours. As amazing and cool and accurate as we are, that’s still a very limited viewpoint. Without more data, the chances for our decision to backfire or just plain miss the mark is exponentially high. When deciding what information we need and then going after it, we can paint a picture to better understand what we actually know and what is still unknown. Decision-making can be scary – we fall back on old tropes like “time is on our side” and “there is no hurry.” The thing is … putting off decisions is a comfortable choice. If we are comfortable, there is no growth and goals are not important. How much will it hurt not to make the decision? What is the impact on sales now and in the future? What is the impact on the frustration and burnout of the team? Have you ever had a boss who only wanted “yes” people around? Who yelled and screamed and stomped about to get information into all the thick skulls around them? As amazing as the benefits may be, most of the time, these leaders are just bullies. There is no inspiration or creativity seeds planted for the team to cultivate … there is just fear of doing or saying the wrong thing. When the team always misses deadlines, when no one will accept responsibility, when it’s hard to get people to step up and take on something new … there is tyranny. Articulate the mission and values. Communicate and live the mission and values. See value in and use the insight from approaches that differ from the norm. Think back to a group project you did in school (I know … I may be asking you to go way way back, so maybe it’s a project someone you know told you about). There was always someone who rode along on the work of others. There was a common feeling that one person did much less work and benefited from others. Rather than an outcome, collaboration is the thoughts and ideas that generate momentum for a project. Cooperation is the sharing of those thoughts and ideas. By themselves or together, without execution, stuff doesn’t get done. Which means one person usually steps up to make it happen. That person may be overworked and underappreciated; it’s easy to rely on people like this. Prioritizing collaboration, cooperation and the work necessary to reach the goal. Assessing the return of intangible work around collaboration. Building cross-functional teams that have a finite time working together – i.e. the length of the project. Sometimes we are so invested in an idea, we misjudge if it’s actually the right time or right for the company vision. The decision is made to move forward. And problem after problem shows up. More resources are fed into this project. We all know the places these projects originate from. The fact that we can’t (or don’t) speak up is the problem. Maybe it is the right project, just not the right time. Maybe it’s the right time, but not the right project. Taking the time to have a system in place that evaluates new project ideas can filter out who came up with the idea, and instead focus on does this idea fit here and now. Relationships matter here. Someone has the relationship to break the bad news; even though doing so is hard, it’s possible. If you are in this situation – use your relationships and ask for guidance. Create a process to filter ideas. Build in the lens of vision (where the company is going) and values (why we do what we do) and mission (what we are doing today to solve customer problems). Problem-solving; specifically, regarding how to elevate issues proactively and making certain important concerns get the attention they need (because once fighting fires, it’s hard to stop). While more difficult to commit time up front, having clarity and outcomes from the outset will reveal what exactly the team can achieve. I bet you’ve encountered one or two or 10 elephants which you’ve worked with and lived through. Why not pay it forward? Share the experience and the skills that will illuminate the elephant for someone who may be in a similar situation now. Elephants have incredible memory. This is a wisdom we can use here. Collectively, as a team, our company is occasionally going to be dysfunctional and face problems. We are a myriad of people coming together for part of our life journey. Let’s embrace the flaws and the problems. Looking at challenges as ways to be better ourselves sets the stage for leading by example within our organization. Acknowledging elephants in the room frees up energy. It takes work to avoid; to pretend something doesn’t exist; and even to live with the situation when it hurts. Move on if its job is done. Point its tusk at another elephant in the room. Make the elephant part of the team – in effect, use its gift. Internal communication about why each role exists. How those functions relate to the experience of each customer. And that the way we complete work (attitude), combined with skills (aptitude), results in our abilities being developed and honed. 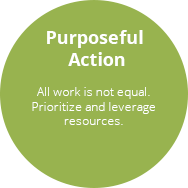 The interactions, the way we solve problems, the way prioritization occurs … all these matter. Through assessing and navigating what’s happening in the business, we find obvious items no one is talking about.